Bullying at a young age casts a long shadow on health and wealth in adult life! 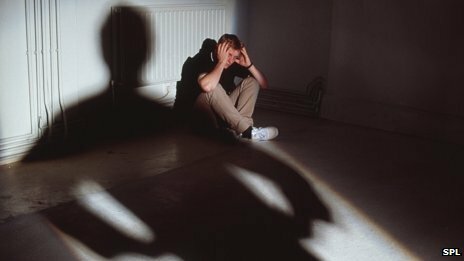 Bullying in childhood "throws a long shadow" into victims' adult lives, suggests research indicating long-term negative consequences for health, job prospects and relationships. The study tracked more than 1,400 people between the ages of nine and 26. School bullies were also more likely to grow up into adult criminals. The study, from Warwick University in the UK and Duke University in the US, concludes bullying should not be seen as "a harmless rite of passage". The long-term impact of bullying in childhood was examined through the experiences of three different groups - those who had been bullied, those who had carried out the bullying and those who had been both victims of bullying and had also carried out bullying themselves. The research, published in Psychological Science, suggests the most negative outcomes were for those who had been both victims and perpetrators of bullying, described in the study as "bully-victims". Described as "easily provoked, low in self-esteem, poor at understanding social cues, and unpopular with peers", these children grew into adults six times more likely to have a "serious illness, smoke regularly or develop a psychiatric disorder". By their mid-20s, these former "bully-victims" were more likely to be obese, to have left school without qualifications, to have drifted through jobs and less likely to have friends. All of those involved in bullying, as victims or aggressors, had outcomes that were generally worse than the average for those who had not been involved in bullying. Those who had been victims of bullying, without becoming bullies themselves, were more likely to have mental health problems, more serious illnesses and had a greater likelihood of being in poverty. But compared with "bully-victims" they were more likely to have been successful in education and making friends. There were also distinctive patterns for those who had been bullies, but who had not been bullied themselves. These "pure bullies" were more likely to have been sacked from jobs, to be in a violent relationship and to be involved in risky or illegal behaviour, such as getting drunk, taking drugs, fighting, lying and having one-night stands with strangers. They were much more likely to have committed offences such as breaking into property. However in terms of health and wealth, bullies had more successful outcomes than either the victims of bullying or those who were both bullies and victims. Such "pure bullies" were identified as often being strong and healthy and socially capable - with their manipulative and aggressive behaviour being seen as "deviant" rather than reflecting that they were "emotionally troubled". The study included verbal, physical and psychological bullying and the comparisons were adjusted to take into account social background factors, such as family hardship, family stability and dysfunction. Prof Dieter Wolke of the University of Warwick states "We cannot continue to dismiss bullying as a harmless, almost inevitable, part of growing up. We need to change this mindset and acknowledge this as a serious problem for both the individual and the country as a whole; the effects are long-lasting and significant." "In the case of bully-victims, it shows how bullying can spread when left untreated. Some interventions are already available in schools but new tools are needed to help health professionals to identify, monitor and deal with the ill-effects of bullying. The challenge we face now is committing the time and resource to these interventions to try and put an end to bullying." Emma-Jane Cross, founder of the anti-bullying charity Beat-Bullying, said: "This groundbreaking study shines a light on what has been an overlooked subject for society and the economy. The findings demonstrate for the first time just how far-reaching and damaging the consequences of bullying can be."